While joint pain remains one of the most commonly treated symptoms at Remedy Pain Solutions, many patients are not aware how common joint pain is within the spine itself. Each vertebral segment contains two small joints, called “facet joints,” which provide the spine with stability and flexibility. These joints can become inflamed or irritated, leading to back or neck pain which worsens with extension and after prolonged periods of sitting or standing. Many patients describe that this pain has gone misdiagnosed for many years, but Remedy Pain Solutions is proud to offer several options to properly diagnose and alleviate these symptoms. The first type of injection is purely diagnostic in nature, providing only short term relief. Medial branch nerves exit the facet joints in the spine, and feed the pain signal to the brain. As joint injury or degeneration causes compression on the medial branch nerves, patients may experience large amounts of pain which feels localized to the joint itself. Medial branch blocks are injections intended to temporarily “numb” the facet joint utilizing a local anesthetic, similar to what you might receive at the dentist. Evaluating the amount of immediate relief offered by the numbing agent will confirm or rule out an individual joint as a pain contributor. A second type of injection employs a similar approach, but utilizes corticosteroids to provide more long lasting relief by reducing the accumulation of pain-causing inflammatory cells. These facet intra-articular injections are comparable to a joint injection you may receive for pain in a knee or shoulder, as corticosteroids are very commonly utilized to reduce joint inflammation throughout the body. Facet intra-articular corticosteroid injections are able to be used as both therapeutic and diagnostic injections, as they offer a potential for extension of pain relief beyond the first 24-48 hours as you would receive through a medial branch block injection with local anesthetic only. Corticosteroids may take several days to take effect, the subsequent pain relief may last several weeks, months, or years depending on the cause of the pain. For even longer-lasting relief, your provider at Remedy Pain Solutions may recommend a procedure called a Radiofrequency Ablation (aka. Rhizotomy). Regenerative injection therapies such as stem cell therapy, platelet rich plasma therapy, or alpha-2-macroglobulin therapy are also available to promote healing at the cellular level and have potential for permanent improvement. 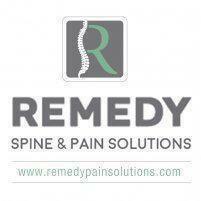 If you are suffering with pain in the back or neck, schedule an appointment to speak to our experts at Remedy Pain Solutions today about which of these options could offer the relief you’ve been searching for.